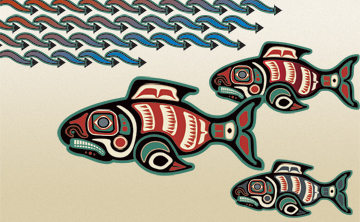 Why are wild Pacific salmon disappearing? Will populations of this treasured fish ever rebound to sustainable levels? While scientists point to many possible causes for salmon decline in Northwest waters—including habitat degradation and pressure from human populations—it is clear that environmental pollutants are a major factor. From his operations base at WSU’s Puyallup Research and Extension Center, ecotoxicologist John Stark is taking a close look at the increasingly poisonous “soup” of contaminants entering our rivers and streams, mostly from non-farm sources and storm-water runoff. Dr. Stark and his colleagues at WSU are bringing big ideas to the quest to save wild salmon. Insights from their research are influencing environmental policy in both Washingtons. While challenging some of our everyday practices, they provide new knowledge for restoring the environment and protecting our irreplaceable aquatic resources … because all of our lives are linked to the life and health of local waters. Featuring: John D. Stark, Ph.D.